A human study of the mitochondrial antioxidant MitoQ shows promise in addressing some aspects of vascular aging. Antioxidant-based therapeutics to forestall the effects of aging have had a long history, ever since the elaboration of the free radical theory of aging by Denham Harmon in 1956. However, this long history has also had mixed results, with studies alternately showing efficacy, a lack of efficacy, or even negative health effects for some applications of antioxidants. Many of these studies analyzed the results of taking high doses of naturally occurring antioxidants. In general, high doses are necessary due to the poor bioavailability of many of these naturally occurring compounds. The poor bioavailability of Coenzyme Q10, a naturally occurring antioxidant that is found in cells and decreases with age, spurred scientists to develop a synthetic form. This form, dubbed MitoQ, is very similar in structure to the naturally occurring form, only it has a triphenylphosphonium moiety that allows this derivative to be two to three orders of magnitude more permeable to membranes, particularly the membranes of mitochondria. 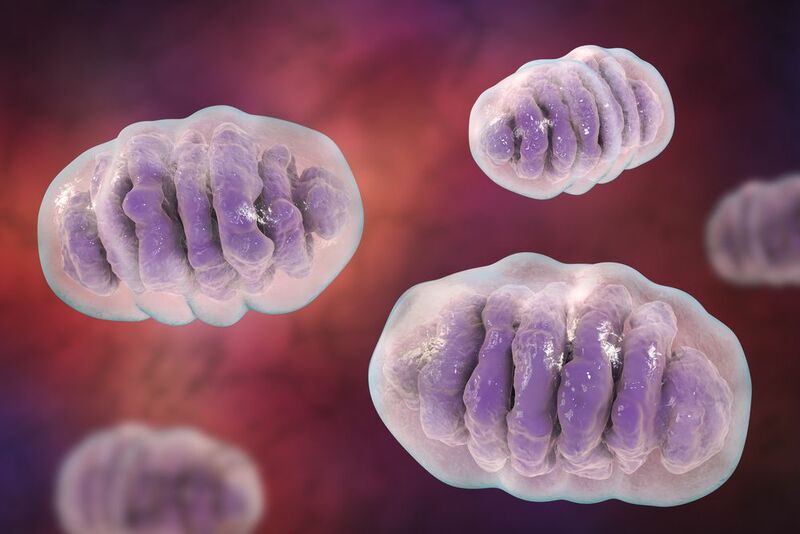 It is within mitochondria that MitoQ appears to be doing most of its work by soaking up reactive molecules, generated as byproducts of respiration, that can oxidize and damage lipids and proteins.